“Make it a priority,” is a catch-phrase so readily bandied about in today’s world. Seems to me that EVERYTHING is supposed to be that. Kind of cancels out what a priority is supposed to be, right? 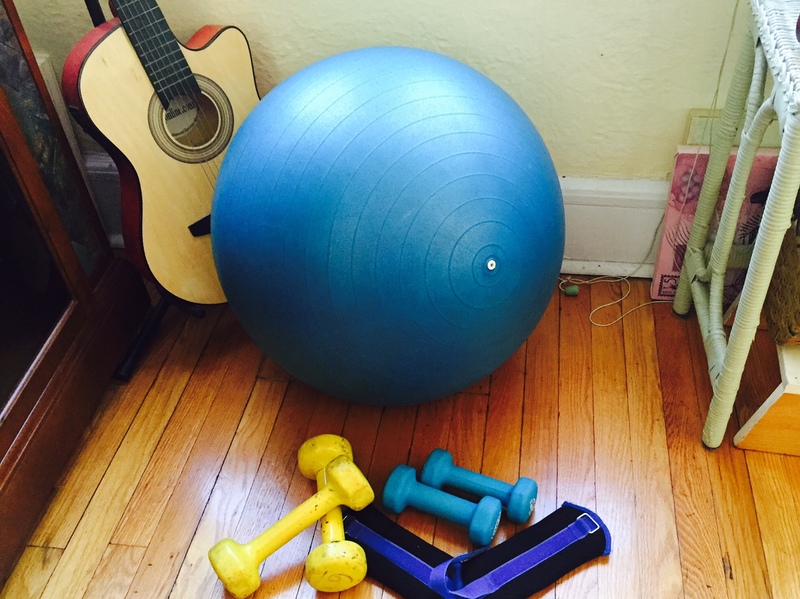 So how does a busy parent prioritize exercise? I picked them up after school. They’d stay on the school grounds and played. When I wasn’t doing my session notes (a.k.a., my “homework”) —or chatting with other parents–I’d walk around the school grounds. (Sometimes I’d walk with other parents while we socialized.) During spring and early fall, I’d often take them back to the playground after dinner, and walk or hit a tennis ball against the wall while they rode their bikes and/or played. They were always within eye and/or earshot. I’d also walk around the neighborhood while they rode their bikes ahead of me. That changed from 5th grade. Older Son had to be on a bus by 7:40. Now both guys are in high school; their back ends need to be in seats by 7:34. Issue #1: This mom has been getting kids up for school starting at 6:15 for 5+ years now. Their current, earlier schedule killed a good hour and fifteen minutes of “my” time. Note: My kids have never given me a hard time about going to school. Teens’ biological clocks are naturally more nocturnal, so getting up at increasingly earlier hours is PHYSIOLOGICALLY more challenging. Issue #2: Mom has to call the kids more often to get them up. Issue #3: Mom can’t be exercising in the basement when boys are upstairs in their room, sleeping when they’re supposed to be up. So how does one carve out the time for exercise? Solution: Mom had to adapt. Tune in later this week for a list of some of the changes I made. They’re easier than you might think. Maybe you’ll find a game-changing tip–or two! Until then, have a great day! Please feel free to leave any thoughts you have on the matter in the comments.